Created in 1991 Dolphina was based in Watford woodside leisure centre under the name of Dolphina Gym Club with only 6 gymnasts. Over the course of the clubs life it grew and changed locations to the YMCA and then back again to woodside trying to find its permanent home. In 2013 Dolphina finally found that home when after a lot of hard work from the Management team the club was Awarded with £50,000 of national lottery funding from sports England as part of the Olympic Legacy. 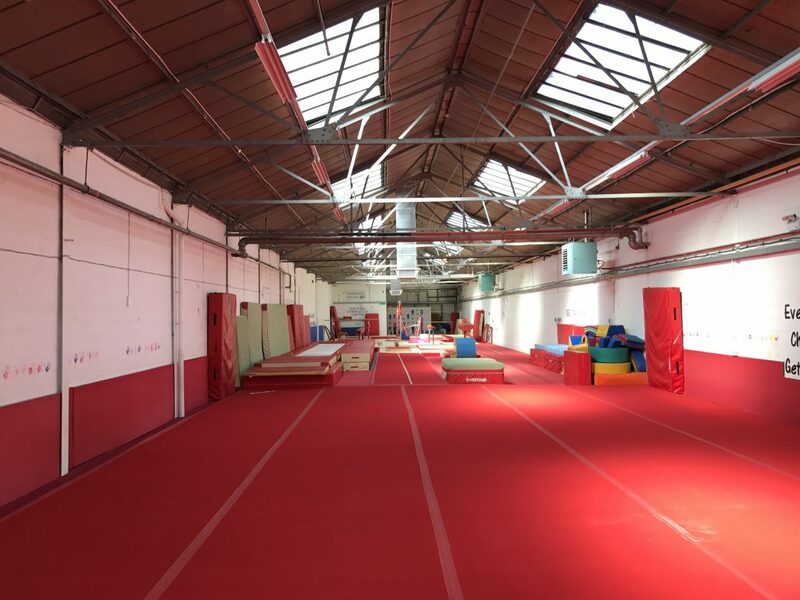 This allowed Dolphina to transform a local warehouse into a Gymnastics centre and has become the permanent home of Dolphina Gymnastics Centre. In February 2014 the big move began and with it the ability to expand both the range and number of classes available. Dolphina have classes for Pre-school, Recreational Gymnastics, Adult Gymnastics, Tumbling classes and both Girls and Boys competitive artistic & general gymnastics. Since 2007 Dolphina has been awarded the prestigious Gym Mark accreditation for sport which reassures our Gymnasts and Parents Dolphina is a safe, child friendly affiliated club. Dolphina is proud to have over 1100 members, 20 qualified coaches, 1 regional judge, 30 volunteers and 2 Welfare Officers. Dolphina has become the first and only purpose built facility for gymnastics in Watford where we hope to encourage and invite people of all ages from crawling to adult to partake in the sport of gymnastics. Since May 2016 Dolphina gymnastics has been a Member of CASC (Community amateur sport club) benefiting the local community. Dolphina is continuously looking to grow and expand as a sports facility. We hope to purchase new equipment in the future to better our facility’s.